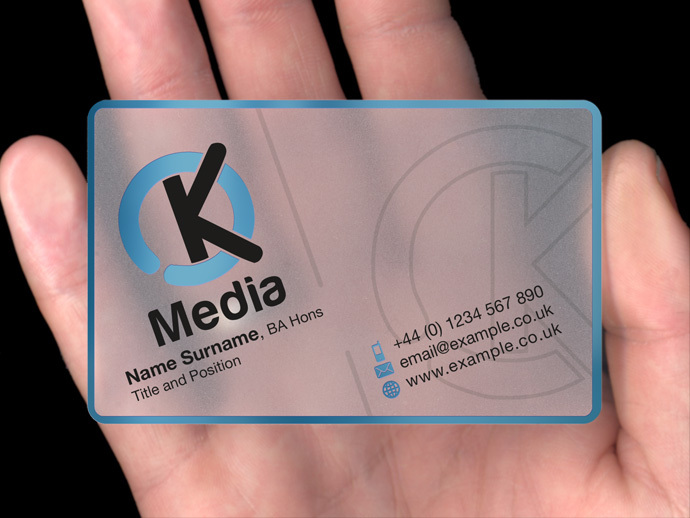 The OK Media business card showcases our ability to print to the very edge of all four sides of the card. Most automated processes rely on clamping the card in place while being printed, ruling out designs that bleed off the edge of the card. The bespoke, handcrafted nature of our printing process does away with clamps, allowing us to reproduce designs like this one.